Cassie Vogel was one of the finalists for last year's AOA Startup Grant. 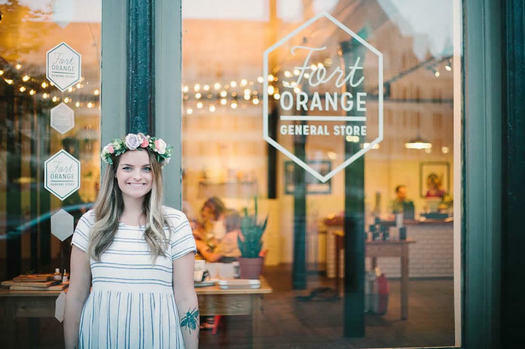 A recent transplant from Portland, Oregon, Cassie opened the Olive & June Floral Company inside of the Fort Orange General Store at the beginning of this year. Since then she's booked 45 weddings in 2018 alone, and she's run workshops and a retail shop out of Fort Orange. Longtime friends Nick Ouimet and Adam Weber were the winners of 2017's AOA Startup Grant for their company, Adirondack Barnwood Salvage. 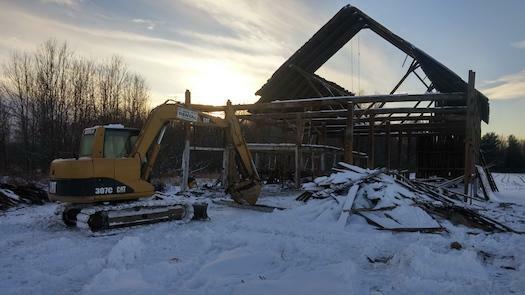 Nick, a West Point faculty member, and Adam, an MBA, used the grant money to take down their first barn and they're eyeing their next one. Adam took time to share their experience since then with us. 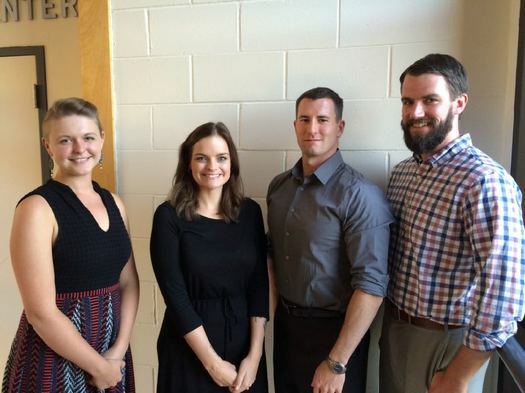 Over the years we've had many good projects make the finals of the AOA Startup Grant. But after the judges have had the chance to hear the presentations, they usually come to a consensus quickly. Not this year. Three very strong projects made their pitches at the College of Saint Rose Wednesday and the judges had a tough time settling on a winner. The post-presentation discussion was long and more than a little bit agonized. But they finally picked a winner -- in a split decision. We mentioned this before, but figured we'd highlight it again: The presentations from the finalists in this year's AOA Startup Grant contest are this Wednesday evening at the College of Saint Rose. The finalists will be pitching their ideas to a panel of judges starting at 5:30 pm. The event is free and open to public, but space is limited. So if you'd like to attend, we please ask that you register. 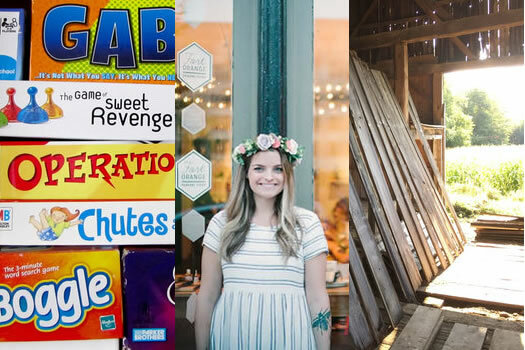 The three projects in the running for this year's $2,500 grant are Bard & Baker: Board Game Cafe, Olive and June Floral Co., and Adirondack Barnwood Salvage. We got a short preview of what they'll have to say during a coaching session last week with John Dion, a professor of marketing at The College of Saint Rose, and the competition is fierce (but friendly). It'd be easy to see any one of the projects taking the prize. This is always the hard part of the AOA Startup Grant contest: Narrowing the field down to three entries. Because, as it is every year, there are many projects worthy of a spot in the final. 1. Olive and June Floral Co.
And the applications for those five -- and all the other projects -- are available for you to skim through at that link above. You'll see info about how to vote, too. It's easy. There's still plenty of opportunity to vote -- crowd voting ends September 20 at noon. And in the past we've had some projects get a quick early start before being overtaken. A handful of votes can make a difference. So if you haven't voted, go check out the entries and pick your favorites. And if you already have a favorite, take a few minutes to look through some of the entries to pick a second. As is the case every year, there are a bunch of interesting projects that are worth your attention. 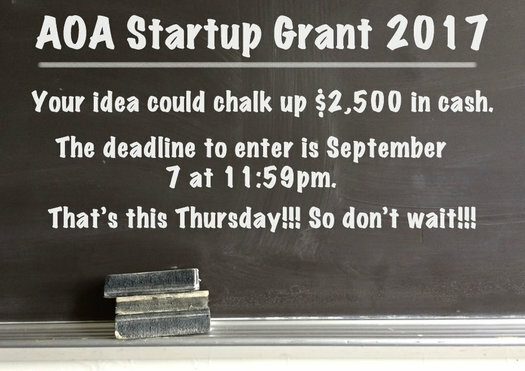 Voting is now open for the 2017 AOA Startup Grant! Here's the ballot! Three finalists will be chosen to compete for the $2,500 prize. Crowd voting will pick two of the finalists, the AOA editors will pick the third. Voting closes this September 20 at noon. The finalists will make presentations to a panel of judges on October 4, and the panel will pick the winner. As is the case each year, the entries this year include a bunch of interesting projects. Go have a look at the applications. Hey, how's that AOA Startup Grant application coming along? 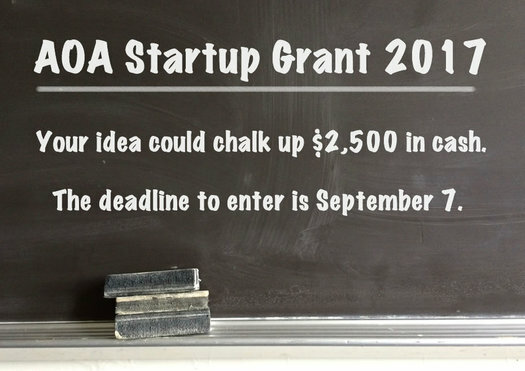 As we announced last week, the AOA Startup Grant is back for 2017. One project will a boost in the form of $2,500 in cash, along with the attention from winning the contest. And applications are open until September 7! So don't wait! Here's how to apply! Congrats to Rachael McCormick Photography for submitting the first application in this year's contest. Entries are posted here on AOA in the order they're received, so Rachael's app will be at the top of the list. The earlier you get your entry in, the earlier it will appear on the site -- and the higher it will appear in the listing. And that could help when crowd voting for two of the spots in the final opens September 11. So don't wait! Get that application together and submit it! 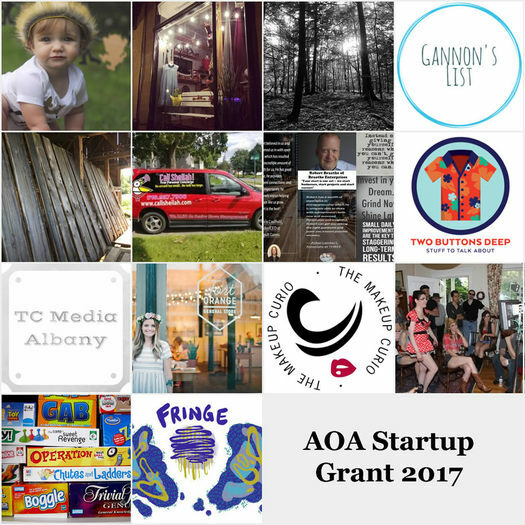 The AOA Startup Grant is back for 2017!!! This fall we'll again be awarding $2,500 in cash to help a new local project get off the ground, or take an existing small business project to the next level. This year's grant is sponsored by CDPHP, CDTA, the College of Saint Rose, Nine Pin Cider, and the Community Loan Fund of the Capital Region. The contest is also an opportunity to get a look at some of the good ideas circulating just below the radar in our region and shine some attention on them. And of course, you get to help decide who gets the funding through the crowd vote for two of the finalists. So we're excited to see what people are working on.